Hi all ,I have here two different dipper switches ,the smaller one I know comes off a 1969 LC 161, but not sure about the larger one ,both have the same part number? Which one is correct for a 1971 LC ? They both have the same Patent number which is not a part number. The longer switch appears to be stamped with a date code? of L5. 1965 or 1975? I'm guessing the longer dimmer switch is 1965 HD Holden vintage and your 1969 LC short switch is correct for all LC/LJ Torana. Thanks Dave ,great help.I will use the smaller one. I believe it to be the longer one. The shorter one was fitted to EJ to HG models & the longer one was for Toranas & HQ onwards, possibly to allow for thicker carpet & under-felt (soundproofing) etc. I think the other clue is the presence of the 2 little 'ears' which retain the clips of the connector plug. 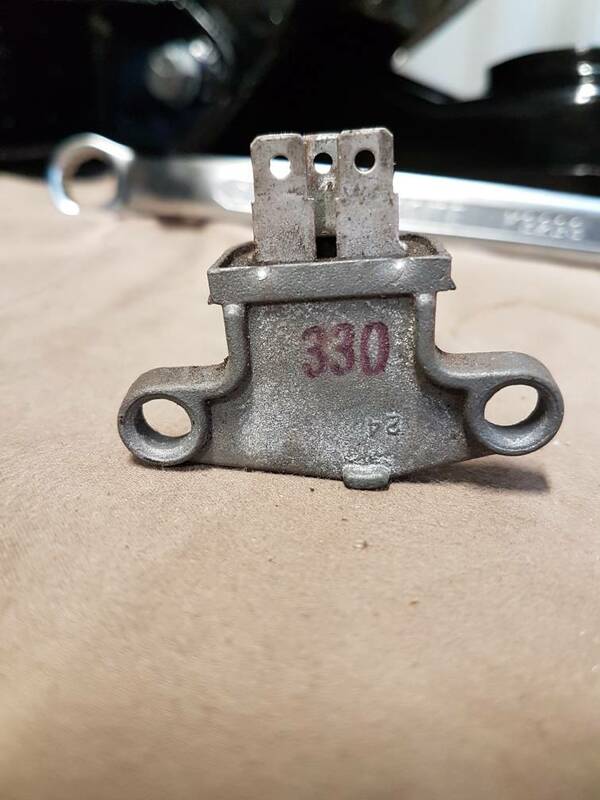 If your harness connector plug is the black style with these 2 'ears' then the longer one it is. Dr Terry,that smaller one came from a LC 1969 S ,4 door 161 ,one owner had been sitting for years .do you think they may have changed to the longer type later? Quite possibly, but as I said the switch should match the harness connector. The older cars had a cream coloured plug without lugs. Can't edit posts here anymore. Have no clue if it's correct or not. Thanks Dr Terry,I'll check the connectors.Tony that looks like the smaller one like the one out of the 69 LC. Dimmer Switch Pt No. 1997028 suits HK Holden. Dimmer Switch Pt No. 1997037 suits LC, LJ & LH Torana. To expand on that. 1997028 suits EJ, EH, HD, HR, HK, HT & HG. The later 1997037 suits LC, LJ, TA, LH, HQ & HJ. This is according to the parts catalogues, but they are often not 100% accurate. 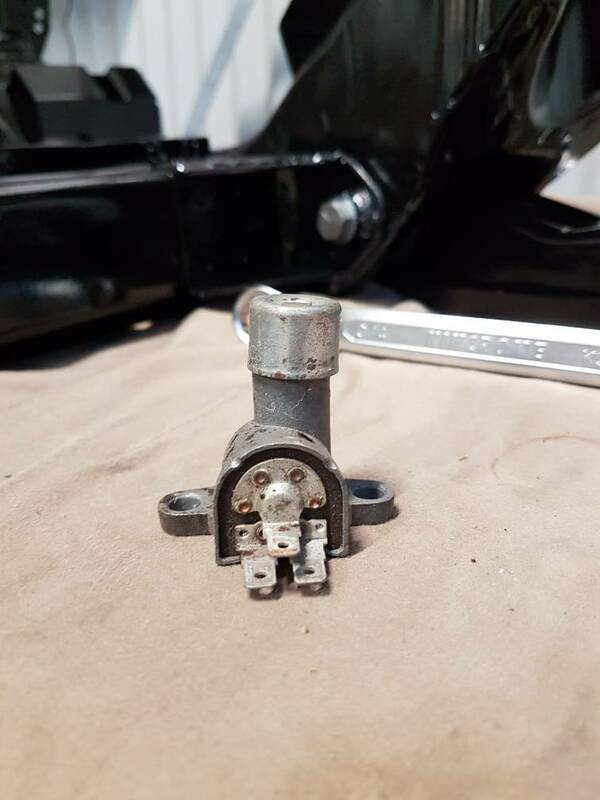 It seems odd that GM-H would use 2 different switches in the HT, LC, HG era, it could be that early LC use the older part number & this was updated to the HQ style in 1971, as many parts were. My LJ parts catalogue is dated 73, so if LC Toranas were updated the very early print parts books may show the earlier number. Anyone out there with an early print LC parts catalogue ? The earliest LC Catalogue I have is October 1971 in which 1997037 appears. Well there you go. It looks like GM-H changed from the earlier switch to the later one mid-LC production & my guess is around the July 71 (HQ) upgrade. At this time many other things were changed, like 161 to 173, Opel M20 to Aussie M20, accelerator pedal etc. etc. Thanks for clearing that up guys ,well done. I would say you'd be on the money there abouts, Dr Terry & it clearly makes sense to me ! Gary. Makes you wonder what other slight changes were made around that time? Did the later LCs get the head rests ? Mines 9/71 LC and it has the headrests. Location:Adelaide... city of... anyone know something good about it? The mere fact that they say "Made in Australia" makes them collectible. Yeah,which brings me to "where was the Delco Remy factory in Australia "
I believe the 'Delco Remy' factory was in the Fishermens Bend complex. GM-H made a lot of this stuff in-house. GM-H had a factory referred to as 'Disco' where they made there own (AC branded) spark plugs & many other electrical items. This was the era where the cars were 99.99% local content. Even car radios were made in Melbourne (albeit not in-house), not Asia which became the norm by the mid-70s. I know of 2, 10th 71 ck's with no headrests, (brisbane built) so the headrests may be hit & miss, in the early car's. Gary. Id say it was an option back then.